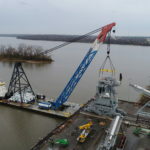 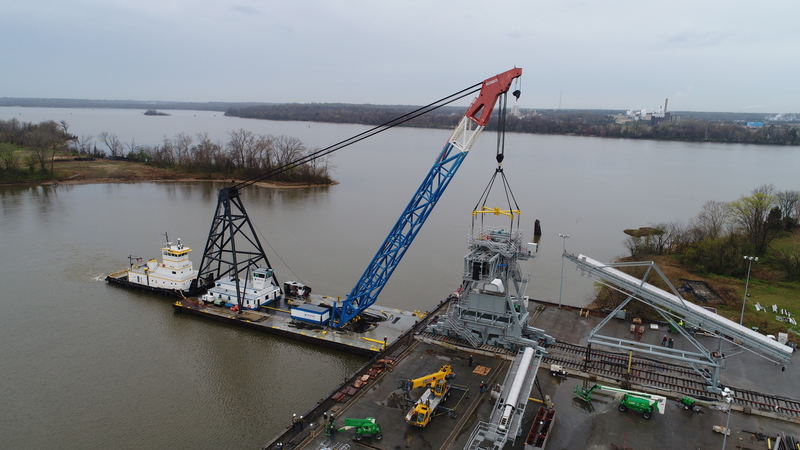 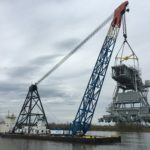 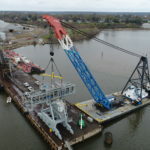 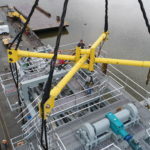 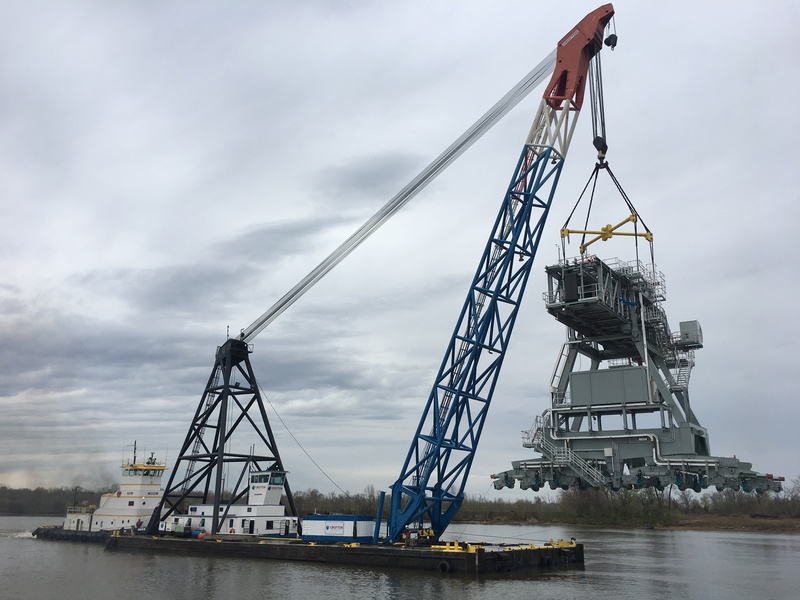 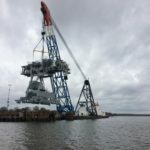 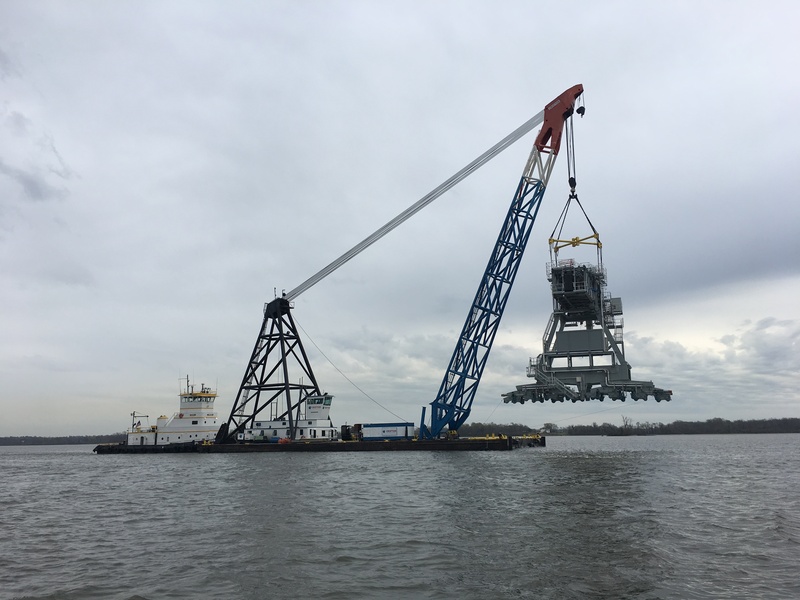 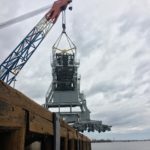 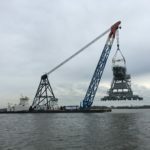 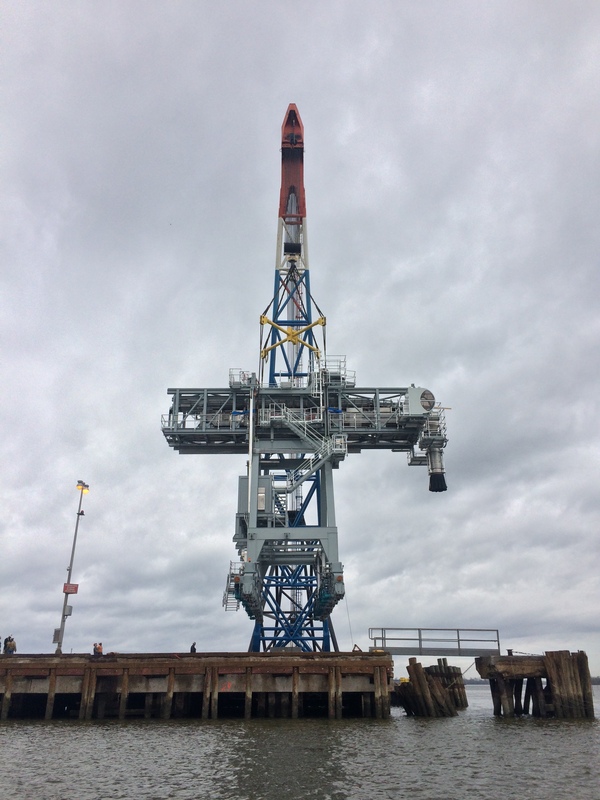 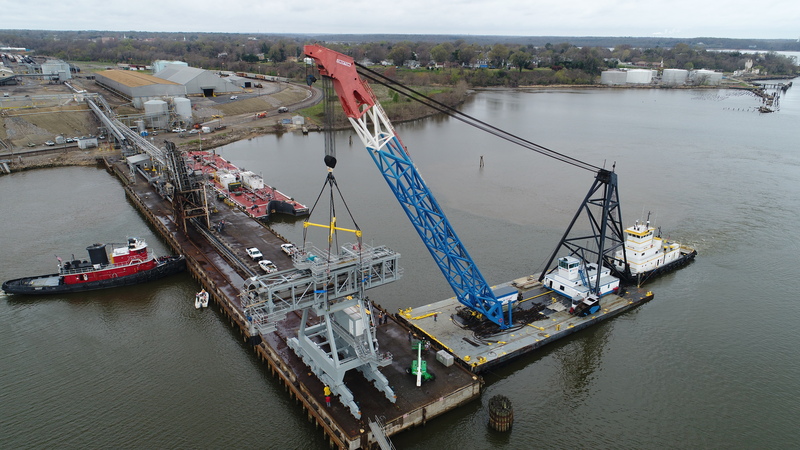 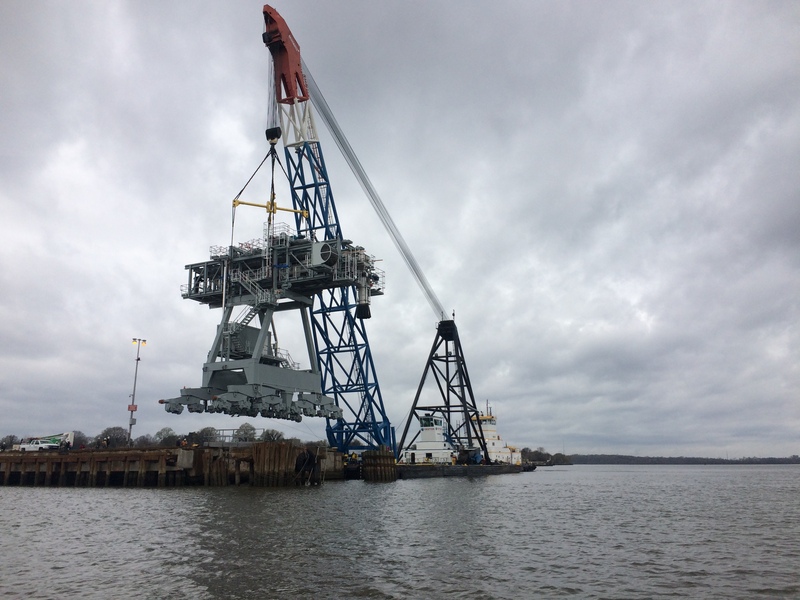 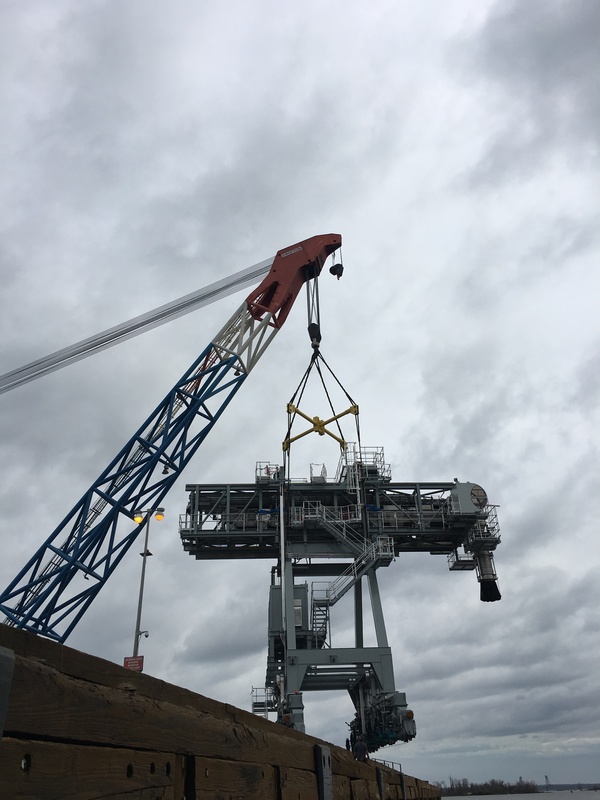 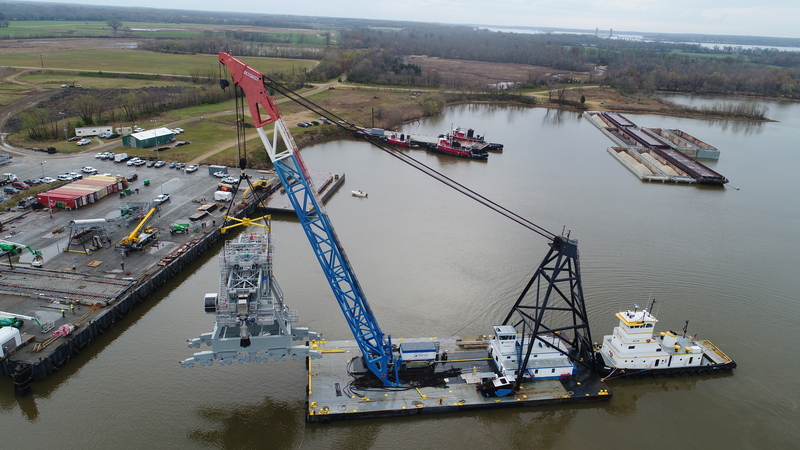 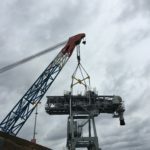 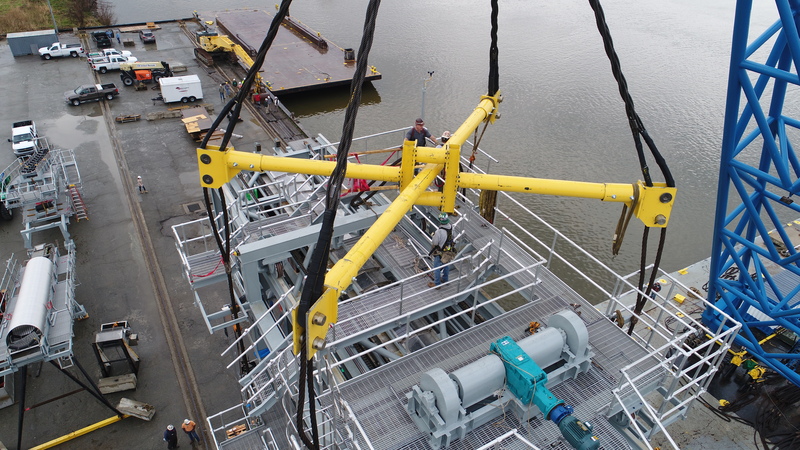 Crofton Industries was contracted to orchestrate the lift, transport, and placement of a newly assembled 280 ton shiploader from it's original location at Port Tobacco, down the James River where it was successfully placed on it's new pier. 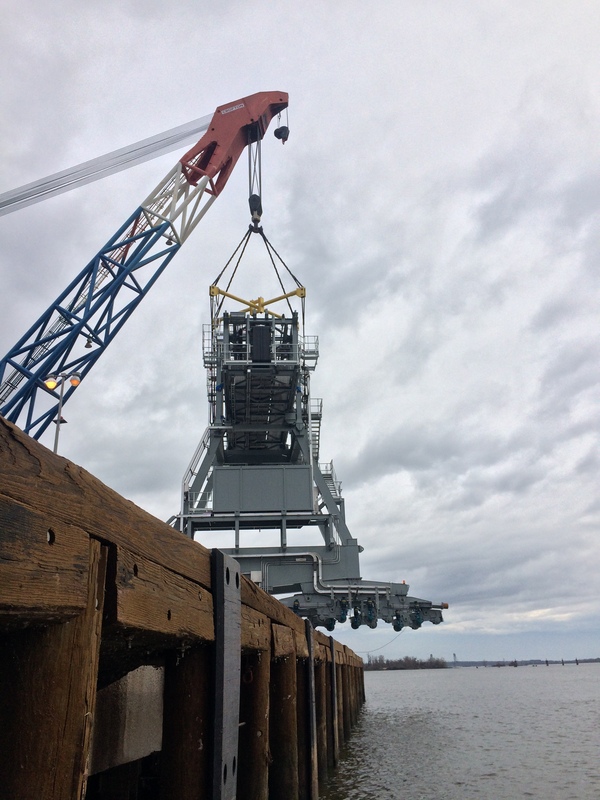 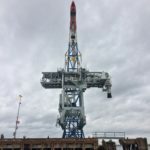 Click here to see footage of this project in action! 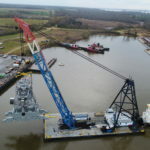 Crofton's 350 Ton Floating Crane Derrick, "The Samson"